The Role of Aspirations in Negotiation. Dissertation von Stephanie Pratsch, Verlag Dr. Kovač 2016, 122 S.
Buyer-seller negotiations have significant impact on a company’s profitability, which makes practitioners aim at maximizing their performance. One lever for increasing bargaining performance is to pursue a clearly defined aspiration, i.e. one’s most desired outcome. 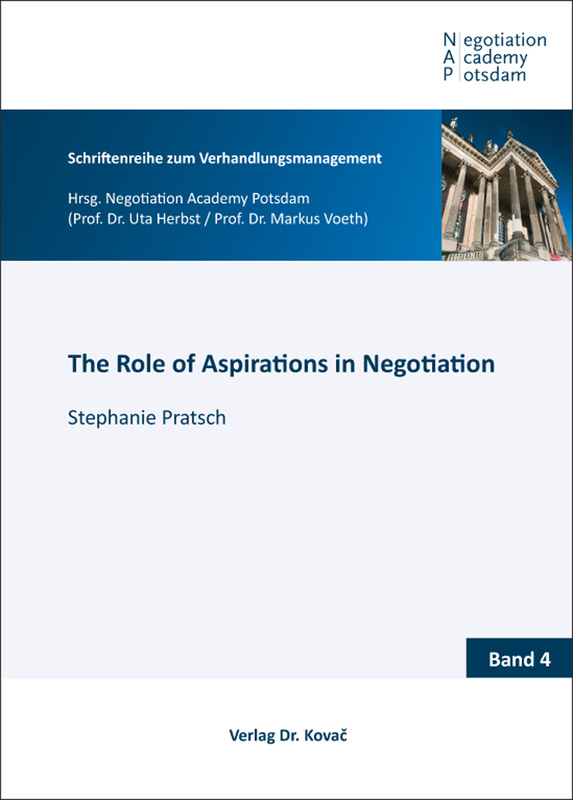 In this context, the author explores the role of such aspirations in the three negotiation phases: preparation, bargaining, and striking a deal. She investigates determinants of aspirations, unintended consequences such as unethical bargaining behavior, and the consequences of overly ambitious aspirations. As a result, she does not only close existing gaps in negotiation research, but also derives valuable implications for practitioners.